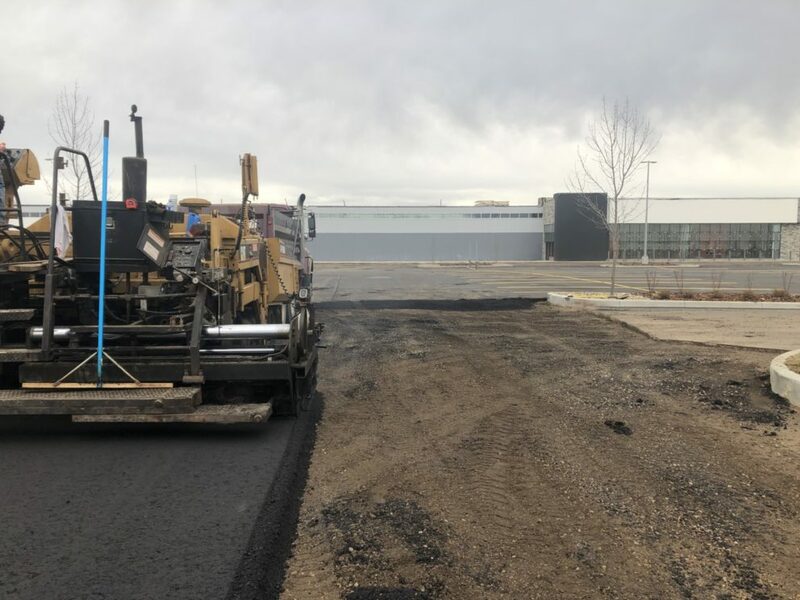 Blondin’s Paving Ltd has built our reputation as an asphalt and gravel base contractor by taking our time to complete every job to the best of our ability and standing by our work. We know that quality work isn’t cheap, and cheap work isn't quality. Check out our FaceBook page for our up to date portfolio from day to day postings for our asphalt driveways, asphalt parking lots, asphalt and gravel base repairs, and more. Blondin’s Paving Ltd always uses geosynthetics on all our base work projects. We feel that preparing and reinforcing the subgrade properly with woven geotextile fabric and geogrid is a must when building a solid foundation from the bottom up. Blondin’s Paving Ltd can tack on any job in both the commercial or industrial industries. No job is too small. We offer both new installations and repairs on previously installed asphalt. Blondin’s Paving Ltd was founded in 2014, Our focus is to offer quality work that will last for years to come. Building a solid foundation from the ground up. We pride ourselves in being a safety orientated company, keeping our employees and public safe during all our Projects. Blondin’s Paving Ltd has built our reputation as an Asphalt and gravel base contractor by taking our time to complete every job to the best of our ability and standing by our work. We know that quality work isn’t cheap, and cheap work isn’t quality. We go the extra mile to ensure that our customers/clients get the best value on their investment through Blondin’s Paving Ltd. We are a locally owned and operated paving and base work company in Grande Prairie, Alberta. Our Asphalt Paving and gravel base crews are skilled with their diverse backgrounds but main focus of paving. Loaded up and Ready for 2019! It's Almost Paving season !